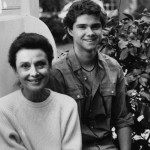 Luca Dotti, one of Audrey Hepburn’s two sons, speaks about his mother’s life far from the Hollywood glamour and about the things that really mattered to her, in an exclusive interview for LaRevista.ro. 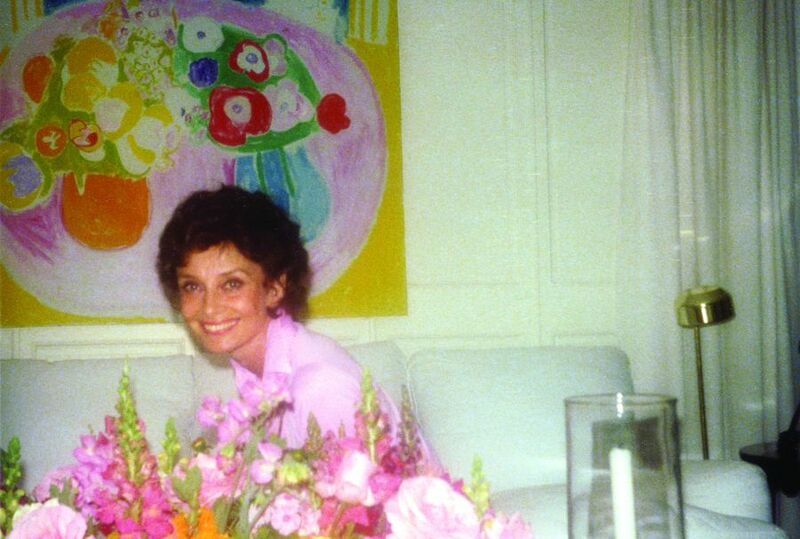 Although her phenomenal career brought her great satisfaction, Audrey’s real “mission” in life was to build a family and a home, to have children, dogs and a garden to grow her own fruit and vegetables. 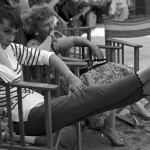 In her house in Rome or at La Paisible in Switzerland, Hepburn was happier than on the Oscars’ stage or posing for famous magazines, her son says. Because he wanted to show the public this side of his mother, Luca recently published another book, called “Audrey at Home,” a perfect excuse for me to invite him to another in-depth and entertaining conversation. Why was it important for you to publish this book, which portrays your mother as a woman who enjoyed so much spending time at home and especially in the kitchen? This project started many years ago, in 2007 or 2008. We all enjoy cooking – friends come over, we cook, then we visit them and we cook again. We spend a lot of time in the kitchen. One day, a friend of mine, Alessia, was looking at the books in my kitchen and she found this repertoire of my mother’s recipes. 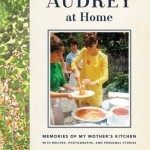 Gathering recipes was an old thing she started doing in the ‘50s, when she was married to Mel Ferrer. 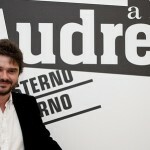 And Alessia said: Oh, these are Audrey Hepburn’s recipes, you should do a cook book! And I said: No, no, I don’t want to do another cook book! Plus, these recipes were not right, because my mom collected them at the beginning of her life as a married woman and very few of them actually made it in the history of the family. And how were you convinced to write another book? In the following months I offered several interviews and one recurrent question was: How was your mother at home? I always told them she was very normal and easy to relate to. I gave examples about how she would take me to school, help me with my homework, then later talk to me about my girlfriends and so on, like almost any mother does. 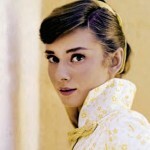 I also mentioned that she was cooking and a lot of journalists were so surprised: Audrey Hepburn used to cook? We thought she wouldn’t even eat! Of course it was some sort of a joke, but at the same time it got me thinking. My mother has this image of being so skinny and people probably imagine she was always on a diet or that she had some eating disorder. But I knew very well it wasn’t the case. First of all, I saw her eating every day, and enjoying to eat, especially a lot of pasta. And then, her physique was like that for a very important reason, which was the war. The poor nourishment during the war created a certain a kind of physique. Of course, since she had to act and be in front of the camera a lot, she was trying to be careful, but she was never more careful than other women I met in my life. And all of her friends were always jealous because she was able to have two consecutive dishes of pasta and she wouldn’t gain weight. So I said to myself: there actually is something to be told about my mother at home and her relationship with food. The whole work took me about two years. Originally, it was just a cook book, but then I went to interview all her friends, many members of my family, a few cooks that worked for us. I went through all of her books and found little clippings, pieces of papers, memories. 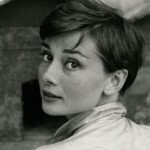 And I realised – that was about five years ago – that I myself had a problem with Audrey Hepburn. For me my mother was my mother and there was a big gap between my perception and what I thought the public perception was. And doing all these interviews and researching for the book, I started very quickly to realise that I personally was wrong. Actually, the beauty about my mother is that the way she was at home really reflected throughout her life. She was the exact same human being through the years, through her experiences, through her success. And to everybody – from the people at the grocery shop in Switzerland to her famous friends in Hollywood, to our gardener, to myself. I think this is really special. Until then you hadn’t realised this? No, not really, because she was my mother. I started investigating about her, I started to learn about her public history, I talked to journalists like you, people who know a lot about her. 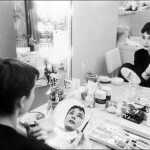 I put things together and what struck me was: How is it possible to become Audrey Hepburn and to keep your personality so close to yourself, so true? If I put myself in my mother’s place, I start having doubts about myself. I mean, if I became someone so important and so powerful, who knows what I would do? Maybe I would start buying a lot of Jaguars or doing crazy things. But my mother, no. She remained down-to-earth. She wasn’t stingy, but I remember once she bought herself a set of suitcases. Nothing fancy, no Louis Vuitton or anything like that. And she was kind of embarassed: Look, I went and bought a set of suitcases, they were kind of expensive, but I really like them! I was about 16 and I was looking at her how she was feeling a little guilty, like we all do sometimes when we buy something. If you think about it now, you may say to yourself: But she was Audrey Hepburn, she could have called Louis Vuitton and tell them, please send me a set of new suitcases! But this was totally the opposite of what my mother would have done, she would never use her notoriety for benefits. Until she started working for UNICEF, that’s when she started to use her name for other reasons. I find it a great achievement that by writing this book, you were able to understand such an important thing about your mother. Of course, me too. Working on this book was a very good way of uniting all these dots – memories that I have, memories of other people about my mother – and really understand that it was a life. I read all the interviews she gave when she was 19. Before her big success. Then I read interviews that she gave when she was 30, 40 or 50 years old, and she was always – in every aspect of my memory or other people’s memory – she was a whole. And she had her personal mission: to have a home, to have children, if it was possible, to have a garden once again, dogs. That was her ambition. Hollywood was very important as a professional experience and she had a great time. But her real ambition was to recreate the home that she lost during the war and be a mother at home. So very quickly, what started as a cook book lost its sense. The more than 200 recipes – that were not the ones from the ‘50s, but the ones that we used at home – weren’t the only things I wanted to remind myself about. Because you cannot do a book just for the others; you have to talk to yourself, you have to be really interested, excited about what you write. So the recipes became a sort of fil rouge. I used each recipe as an excuse to tell a story. Who is Luigi Spinola, the man you worked with on the book? Luigi is a very good friend of mine, we almost live together. We share the office. He is a political journalist, and for me that was very important. First of all, he knew me very well. We didn’t have to start getting to know each other. We met 25 years ago about a fight over food: we had a big argument about how to slice zucchini for pasta. He is also a very good cook, but most importantly, he is a journalist. I realised I wasn’t good enough at writing and at the same time keeping my voice. For about a year and a half, we had cooking sessions. We had all these recipes in a box, we would pick up one and start cooking and talking. At the beginning we were afraid this exercise was going to end after three or five recipes, but it didn’t. Did you cook all of the recipes in the book? Most of them, yes. But I’m very bad at following a recipe, every time I want to make an update. For example, there is a recipe of carrots purée and I made like five variations! I am very undisciplined! (laughs) But someone told me women cook for their family and it’s like a responsibility, while men go more on the wild side. Sometimes it’s a disaster, but sometimes you make a discovery. Do you cook a lot for your family? Yes! In our family, it’s mostly the men who cook. My brother cooks, my father used to cook too, and very well. Most of my male friends are better cooks than my girlfriends. My wife cooks very well, but it’s not something she likes. 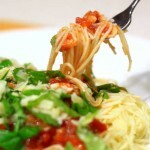 If she has to cook, she makes the best tomato pasta ever, but she is not crazy about this activity. I enjoy cooking, I’m not so good, but I need it. It’s so relaxing. For me it’s like a holiday to go and buy the stuff I need, to cook it, to make experiments. I come up with a lot of recipes! Like, for example, I came up with a recipe for what I call “a wrong kebab”. Yes, it’s wrong because it’s made of pork. The taste is very similar to a kebab or a fajita. It’s very good, it’s a big success in the summer! I have a lot of fun cooking. For me it’s vital. I love restaurants too, but we have children and we cook a lot at home and it’s easier to have friends come over than to go out. They say about Italians that they talk about food while they cook and they talk about food while they eat, and even when they eat, they think about the food they are going to cook the next day! I was just thinking right now that you are a mixture of several nationalities: Italian, Dutch, English, Irish. What do you mostly feel? It depends. When I get crazy, I think it relates to my Irish side. (smiles) Like all Italians, I think of going to live somewhere else, but then, I could never leave Italy. I love my country and I feel Italian 100 %. Unfortunately I don’t feel or look English at all. Yes. So I’m fine being an Italian. Well, you certainly look Italian.